The Syracuse construction accident lawyers at Michaels & Smolak are fluent in New York construction safety rules and regulations. New York construction workers, in fact, benefit from strict statutes and regulations that mandate safe construction practices, many owners of construction sites and contractors violate these rules and cut corners to save costs, which often results in the death and serious injury of workers. 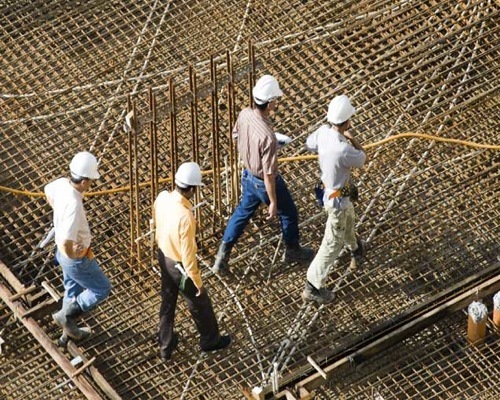 Common construction accidents causing serious injury or death include: crane and scaffolding failures, defective or dangerous machinery failure, compressed gas explosions, falls from scaffolds, objects falling on workers from above, trips and falls on debris or equipment improperly stored or scattered. Our lawyers have recovered millions of dollars for injured construction workers and for other injuries to cover their medical bills, lost earnings, pain and suffering, and more. If you or a loved one has been a victim of a construction site accident, contact us for a free consultation with an experienced lawyer who can inform you of your legal rights and maximize your compensation. To find out more about construction site accidents, read below. Parties other than your employer may be legally responsible for your injuries, including contractors, property owners, leasees, or equipment manufacturers. You may be able to bring a claim against those parties for compensation beyond workers' compensation. The law here is very favorable to the injured worker. In many cases, the law holds not only the negligent construction company who caused the accident legally liable to the injured worker, but also holds the owner of the site and the general contractor “vicariously liable” for other companies' or contractors' negligence. This means that there may be many many companies or contractors to sue. Construction accident lawyers who want to competently represent Syracuse area victims must know how to properly investigate the accident to determine who the proper defendants are so as to bring claims against all of them to ensure full recovery for the injured client. 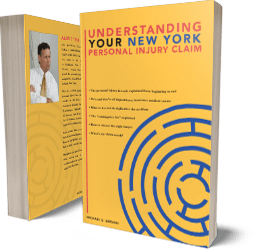 Why are There Special Laws in New York to Help Injured Construction Workers Get Compensation for Their Injuries? Construction sites are dangerous, and construction workers deal with some of the most dangerous working conditions in any industry. The most significant danger is working from heights. And that’s why New York’s legislature passed special construction laws to protect these workers. Our construction accident lawyers have represented countless Syracuse area victims who have fallen from heights, including from roofs, scaffolds, lifts, hoists, harnesses, lanyards or ladders, and thus are very fluent in New York’s special construction accident laws. Unfortunately, serious injuries on construction sites are too common. Because of the heightened dangers on construction sites, New York State has legislated a “scaffold law” (Labor Law § 240) and other laws (Labor Law §§ 200 and 241) that give construction workers added protection, and greater ease for bringing claims for accidents on construction sites. Further, New York State’s Industrial Code and the Federal OSHA regulations require construction companies to ensure a reasonably safe work site, develop and implement safety plans or programs, inspect their sites for safety compliance and use the safest equipment for the job. These regulations also prescribe the necessary protective equipment to be used during certain construction activities. Despite all these laws and regulations, construction workers continue to be killed, maimed and seriously injured all too frequently. This is almost always because some of these rules and regulations were violated. If you have been injured in a scaffolding or ladder fall, or suffered a head or other injury because of falling debris, equipment, tools or other objects, or have suffered other injuries on the job, we may be able to help you obtain compensation for your injuries, pain and suffering, medical expenses and lost income. Workers also face dangers from operating heavy and dangerous equipment, and face deadlines that sometimes tempt them to cut corners and avoid safe practices. What is the Statute of Limitations for Construction Accident Cases in New York? Generally, 3 years from the date of your injury. However, there are exceptions. For example, if the victim is a child under 18 years old, his or her statute of limitations does not even start to run until he or she is 18, so normally it would expire on his or her 21st birthday. Also, it depends on the defendant. If you sue the State of New York you must generally do so within 2 years, and if you sue a "municipality", a "public corporation", or other government agency, your statutes of limitations could by 1 year and 90 days or even shorter, depending on type of government agency you are suing. Further, when suing government agencies, you often need to serve or file a "notice of claim" or "notice of intention of claim" within 90 days of the injury, and sometimes even shorter time limits apply. There are other statutes of limitations and exceptions that may apply to your case. As experienced construction accident attorneys in the Syracuse and Central New York area, we have a system in place for investigating and dairying all relevant statutes of limitations and time limitations for construction and workplace accidents. That’s impossible. A reputable personal injury attorney will not charge you for an initial consultation. Michaels & Smolak will give you a free consultation. If we decide to represent you, we will charge you on a contingency fee basis, which is usually 1/3 of the net recovery we obtain for you, whether from a settlement or from a jury. Since the initial consultation is free, why wait? Contact us today for a free consultation. The Syracuse construction accident attorneys of Michaels & Smolak have recovered millions of dollars for clients injured in construction accidents and for other injuries to cover their medical bills, lost earnings, pain and suffering, and more. If you or a loved one has been a victim of a construction accident, contact us for a free consultation with an experienced lawyer who can inform you of your legal rights and maximize your compensation.